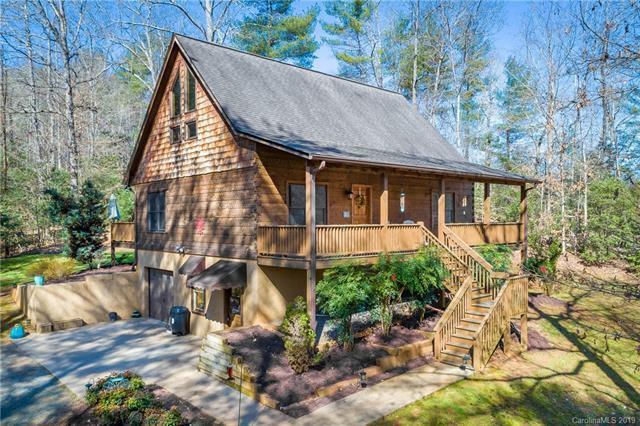 This 2007 built log home is located on 1.95 acres with a long winding drive up to the secluded homesite. 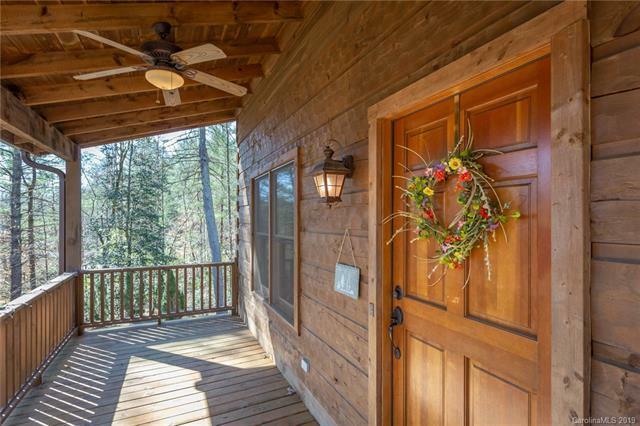 Covered front porch welcomes family and friends. Inside the living room you will find cathedral ceiling and gas log fireplace. 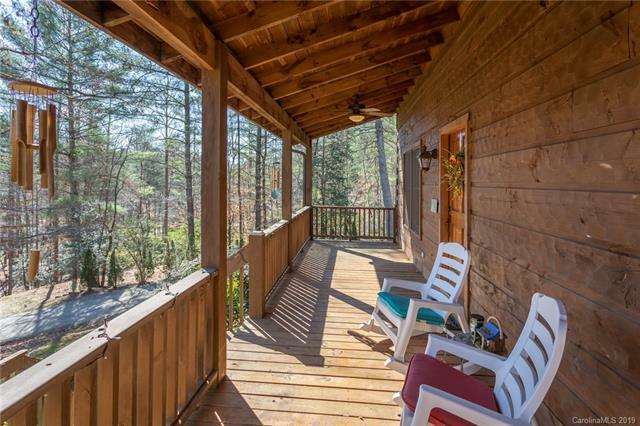 Efficient kitchen and dining area with easy access to covered and uncovered back deck and private rear yard. Main level master suite, half bath and laundry room complete main level. Upper level has 2 spacious bedrooms with hall bath and open loft office or den area. Recently finished basement has workout or office space, family room or bedroom with wetbar/kitchen area, large walk in closet and full bath with large tile shower. One car basement garage has plenty of storage room as well. 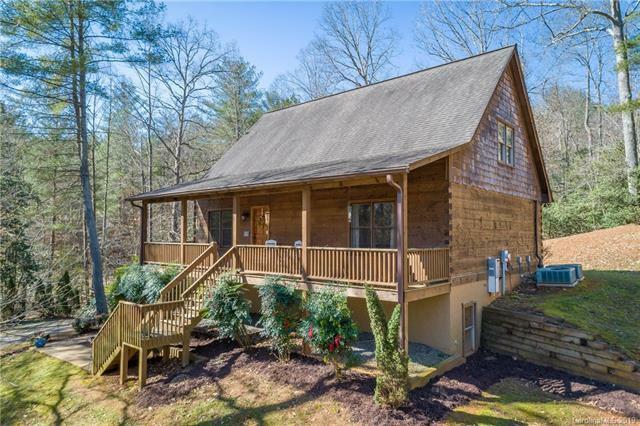 Privacy yet just minutes from Lenoir or Morganton.